Hello Quick Quotes fans! June here today with a fun and colorful ink stamping technique. I love playing with Quick Quotes' PowderPuff Chalking Inks. 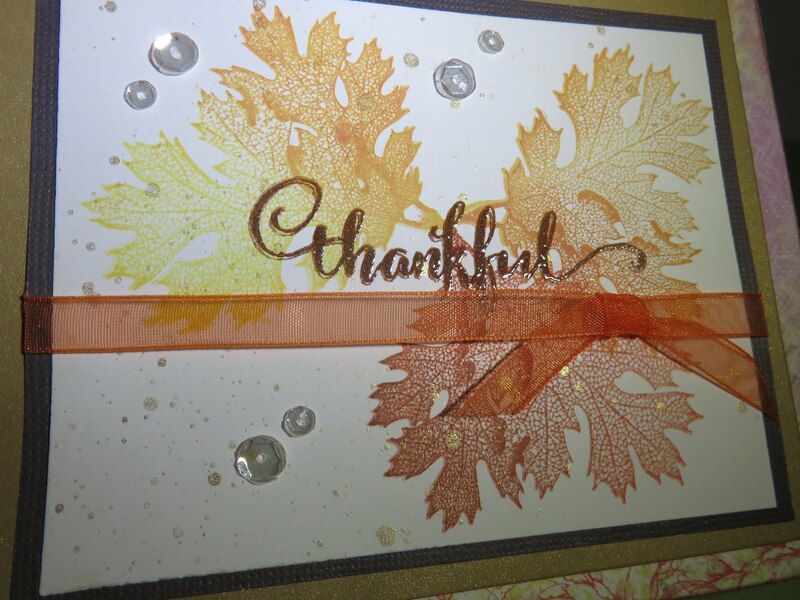 For this card I stamped different colored inks on top of each other for this fabulous variegated look. Perfect for making fall leaves. 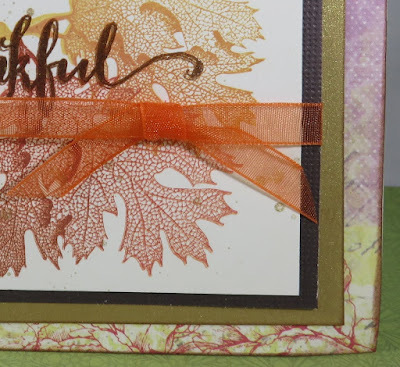 It was fun layering the inks and using different combinations of yellow, orange and red PowderPuff Chalking inks to create unique, colorful leaves using the same stamp. 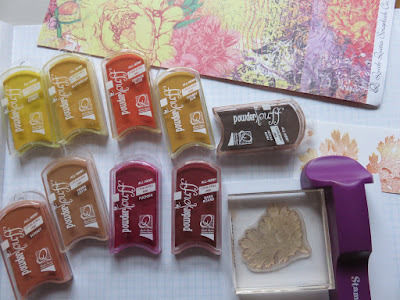 I used a stamp positioner (a Misti tool would also work well) and, starting with the lightest, stamped different shades of color on top of each other 3-4 times. I love the depth and tones this technique creates. The sentiment was stamped 3 times with PowderPuff Mocha Mama ink and heat embossed with clear embossing powder. I then added gold Color Shine splatters, sequins and ribbon. 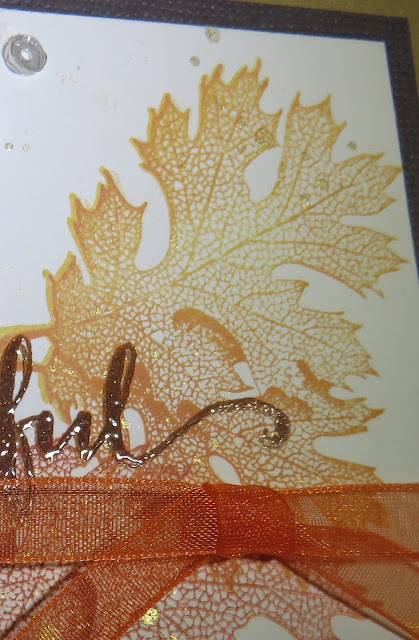 To finish off the card, the leaf panel was matted on brown and gold cardstock and then added to the Sonta 100 card base, which was chalked with PowderPuff Mocha Mama Chalk Ink. Happy Thanksgiving and thanks for stopping by!